Exciting news! 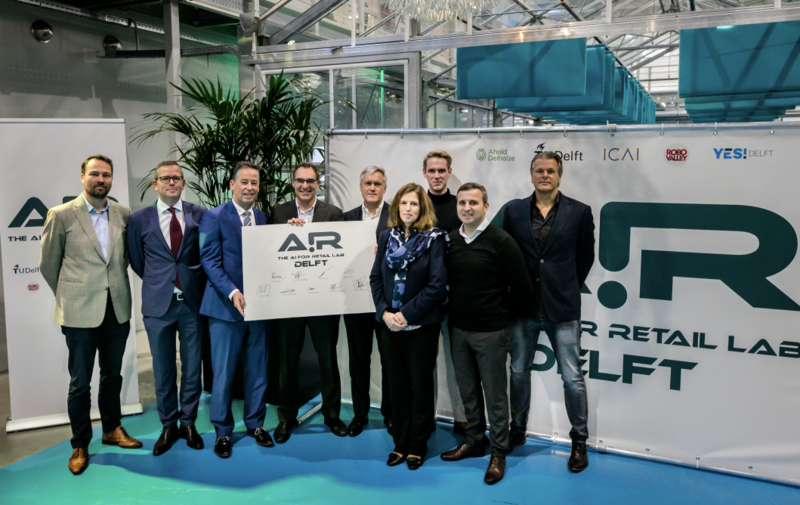 Ahold Delhaize announced today that it is partnering with the Delft University of Technology (TU Delft), RoboValley and YES!Delft for the first expansion of its AI for Retail (AIR)Lab. This industry-academic collaboration set up to conduct research into artificial intelligence and algorithms and developing state-of-the-art innovations for the retail industry. Utilizing our 13 years of expertise and experience as a technology incubator, YES!Delft will scout the best and brightest students, startups and partners to take on the Ahold Delhaize’s business challenges. Through the unique YES!Delft Validation Lab program, cutting-edge ideas and innovations will be put to the test for full commercial validation and made market ready. Practical testing of the prototypes and robotic solutions will take place at the brand new test site constructed by Ahold Delhaize and the TU Delft, which will start operations in early 2019. The partnership helps pave the way for new corporate venture opportunities for YES!Delft startups with Ahold Delhaize and brands in the Netherlands and the rest of the world. AIRLab is part of the Innovation Center for Artificial Intelligence, an open research platform that unites universities and businesses and serves as an engine for AI talent in the Netherlands. In AIRLab’s research center in Amsterdam, scientists conduct research into responsible algorithms that can be used to make recommendations to consumers, and into transparent AI technology for managing goods flows, for example by improving availability by taking into account local weather conditions. The research is taking place at Albert Heijn and bol.com, brands of Ahold Delhaize and can be applied in other brands in the U.S. and Europe.